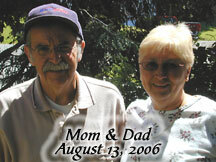 My father's birthday just passed, our first one without him, and next week is my parent's anniversary. That marks 1 year since he was beating my mom in the yard and when the neighbor tried to help he got bitten by the dog. I found your blog. Nice to know that others are going through the same thing. My dad is still living. Sorry to hear about your dad.